"I have used your program twice and have been very impressed with the results. I was able to break through the 400 lb barrier (405 touch weighing 225) from a 355 max (I had actually been losing strength for several months down from 385). 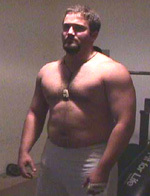 Now I'm training with shirts and have been able to reach a 470 competition style lift." The first 11 weeks Ethan hit a 406.5 press beginning with a 355 lb max. The next 8 weeks he reached 470. 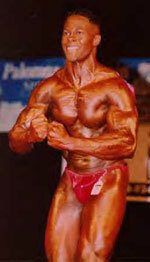 "After doing a bodybuilding show I was ready to regain my size and strength. I also needed to increase my bench fast. The Critical Bench Program was the answer. I was really impressed with the program. It felt like I was getting stronger every week. And not just my bench but my whole body. This program is a must for anyone looking to put on size and strength. I'm goin to do the Lean Mass Program next, so look for before and after photos. Thanks Critical Bench." 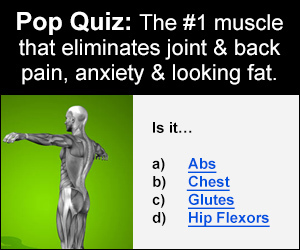 Be sure to vist Randy's Web site: www.bigjack.us. 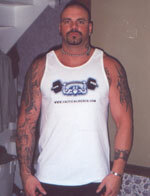 "I'm a drug free lifter that competes in the WABDL. The Critical Bench Program helped me smash some mental and physical barriers. 450 seemed like an impossible goal considering that is what I was pressing for negatives before starting the program. I'm very pleased with the results and highly reccommend this routine." Sid holds the LA state reocord in the Open and Masters. He was a previous world record holder and is training to recapture it. "I'm also a competitor in the WABDL. My training partner Sid told me about the Critical Bench Program, and I'm sure glad he did. I plan on using the program again prior to my next competition." 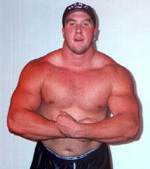 Darrell holds a LA state bench press record with a lift of 385 in the Masters. 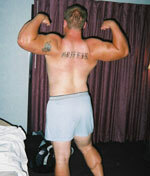 "I used the program to smash through the 400 lbs barrier. I didn't take any steriods, only the suplements that cb told me to take. I was amazed at how strong i was. 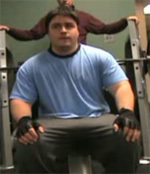 Heads really began to turn at the gym as i built a huge bench and my physique imporved. I play football for the seacoasthawks a NEFL team in NH. I helped lead the best offense in the league to a championship in 2003. I can squatt over 600 and DL 585. CB has helped me get stronger in all my lift and improve my pesformance on the field." 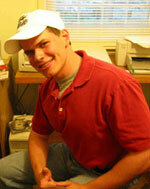 "I was interested in getting started in Powerlifting and this program put me on the right path. Getting past 400 has always been a goal of mine and it feels great to have accomplished it." "When I got up to around 350, I started to slow down in my gains. After using the program for 10 weeks during the football season, I increased my bench to 425lbs and helped aid a defense that held our opponents to a meager 165 yards per game. This program worked wonders for me, and I think it could work for anybody who is willing to put forth their time." "I've been lifting for 7 years have always been involved in athletics and have seen a 60lb increase in my bench since I started the program it took me to the next level. Next is the 500lb barrier." "Being so tall and having such long arms the bench press has always been an exercise that has lagged behind in development for me. Football programs I had used in the past just weren't cutting it for me. I highly recommend the Critical Bench Program because I increased my max from 380 to 420 during the off season. It wasn't easy but nothing worth having ever is." 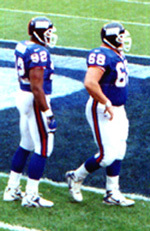 Steve played defensive line for Division I football team Central Connecticut State Univesity. After serving as team captain and rewriting the school record book he went on to gain NFL experience with the New York Giants. Currently Steve is a starting defensive lineman for the Toronto Phantoms Arena Football Team. 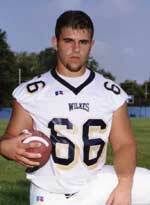 He led the team in sacks and tackles during the 2001 season.. Although Steve's bench press is monsterous it is his weekpoint considering he can squat 800 lbs. He has been timed at a 4.9 by NFL scouts in the 40 yard dash giving him a deadly combination of stength and speed. "My name is DeJay Wiedrich and I am a football and track coach at McClave High School in McClave Colorado. I am 38 years old and trying to get back in to old form. I recently benched 415 with the help of the Critical Bench program. I have several kids on the program and it is working wonders. 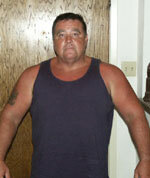 I am hoping to break into the 500 lb club by the end of summer 2011." "I truly believe that a coach should lead by example so I strive to keep in shape and continually get stronger. My heroes have always been the big strong guys, Arnold Swartzenegger, Lou Ferigno and of course my Dad. I have five kids and I want them to see me the way I saw my dad, invincible." "I never would have thought that when I got serious about 8 months ago, I would be benching 405. It's amazing what you can do when you put your mind to it. Thanks for the program! All before and after measurements where taken by the Personal Trainer at my gym and all measurements are relaxed." Forearm 12-13, Weight 202-213, Lean Mass 172.4-189.5, Fat Mass 29.6-23.5, % Body Fat 14.7-11.2"
DJ is competing in an upcoming Toughman Contest in Houston, TX! He can now bench 405 for 5 reps and his body fat is down to 8.5%. 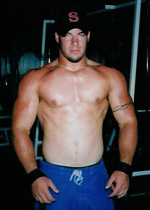 DJ Jones Has Now Benched 600 Pounds As Of April 2006. 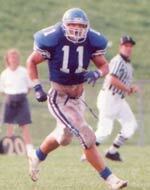 "This is a picture of me as an inside linebacker at CCSU. I can bench press more now than I ever could as a college football player. I had been lifting higher reps for a while, and decided to try the bench press program from Critical Bench. 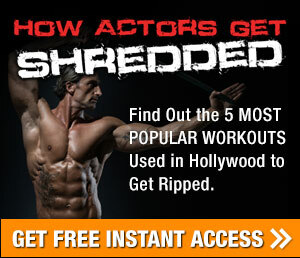 The program was awesome and I was gaining about ten pounds on my bench every week!" "Breaking past the 400 lbs mark has always been a personal goal of mine. 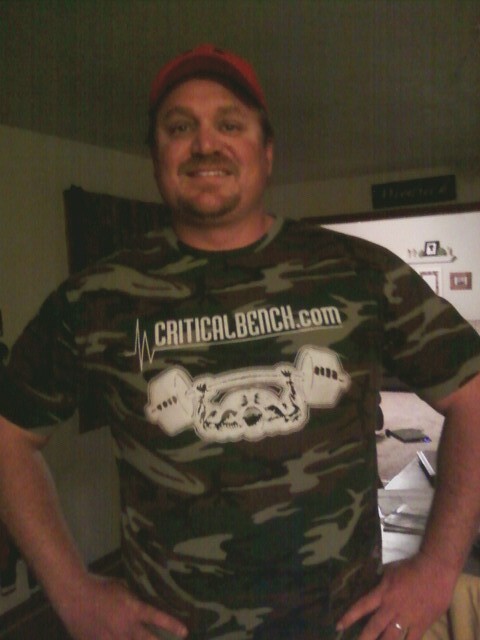 Critical Bench helped me shock teammates when I came into camp benching 60 lbs more than I did before the summer." 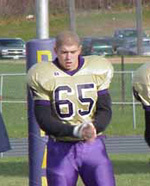 Dwight played fullback at Plymouth State College in New Hampshire. "Thanks guys I made my 405. It's been a long time coming but I couldn't have done it without you and the help of your program. Next I'm going for 450! 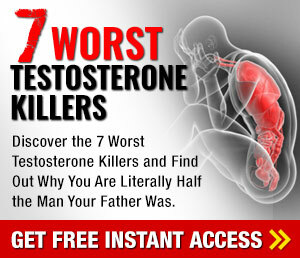 I recommend this program to anybody that wants to increase their bench press." "I recently decided to use your program. I had finished university football and my training had plateaued drastically. I've been training for 10 years now and I thought I had tried everything...wow was I wrong! I love the program...keep up the good work. I went from pressing 315 for 8 reps to 14 reps and pushed 405 for the first time ever this year!" "WIts been a long, hard, and injury filled road. But I've accomplished a very big goal of mine. 4 plates on each side for me was just mind boggling to not only me, but the people watching me do it. Now it's time for 500 pounds." "I started out as nothing, training as a lost rookie. I was training with too much volume, maxing out too frequently,playing around with fancy routines, doing westside without direction and expecting magic. As a result, I was just frustrated and dreaming about what it took to get a bigger bench press." "Then I discovered Critical Bench, a program that is all about ATTIUDE, intensity, hard work, goals, pain, shocking myself, pride, passion, and greatness! After I started Critical Bench, my strength exploded! Critical Bench, is the ultimate program....it's exciting, it puts meaning in your training, it's a journey, a challenge, and it's constantly progressing!! There is nothing else like it, so you will grow bigger, and if not you will achieve the overload and muscle confusion to zap yourself into freaky strength gains! Critical Bench will work everytime, as long as you do 2 months of regular between cycles... You can only gain experience off critical bench, a greater bench max and it will make you stronger in all aspects of life, and allow you to discover positive attitudes within yourself! So, Get on CB today, find the motivation that triggers the beast in you, set that monster scarier and scarier... and CRITICAL BENCH will be your pathway to a bigger bench press and just pure greatness!" ...it helped give me confidence in my quest to the 500 lb barrier when I'll be in college as the years in weightlifting come. It's good to see that I can do my old max (355 lbs for 4 reps), I feel really good that I can press this much weight especially at my age group which is a tremendous achievement. Thanks Critical Bench. P.S. thanks Critical Bench for this great opportunity for me to succeed at my favorite exercise; the bench press." "Your program ramped up my progress so I was making as much gains in a week as I did in a month with other routines. I've applied the critical bench system principles to my squat and deadlift as well and I have increased my raw total by over 150 pounds."